From San Francisco, San Diego, and Long Beach to San Jose. 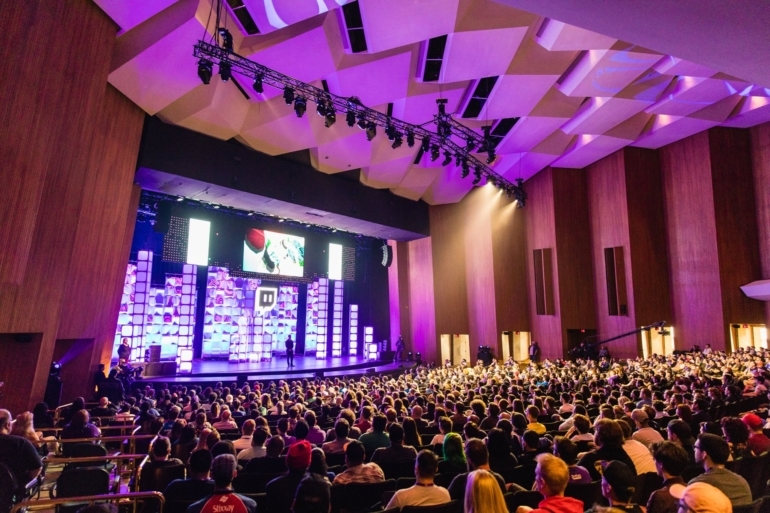 TwitchCon is headed to San Jose, California in October. Twitch announced today that its annual convention will be held at the San Jose McEnery Convention Center from October 26 to 28. TwitchCon, which is in its fourth year, has a habit of moving across the California landscape—from San Francisco, San Diego, Long Beach, and now, San Jose. The San Jose McEnery Convention Center is just “steps” from downtown San Jose and the San Jose Diridon Caltrain station, which makes it a convenient option for TwitchCon. The convention center underwent a massive renovation in recent years, which is a plus for Twitch. Details regarding ticket sales and programming will be revealed in the coming months, according to Twitch. Accommodations through Twitch are available immediately, however, with special pricing for rooms near the convention center.